This is almost what came out of camera. I only brightened background a bit (I didn't have enough back light in reality) to make it white and added a signature, can you find it? Made a softbox using 2 4000K bulbs (I wanted 65k but couldn't get it from the store), aluminum foil and paper. 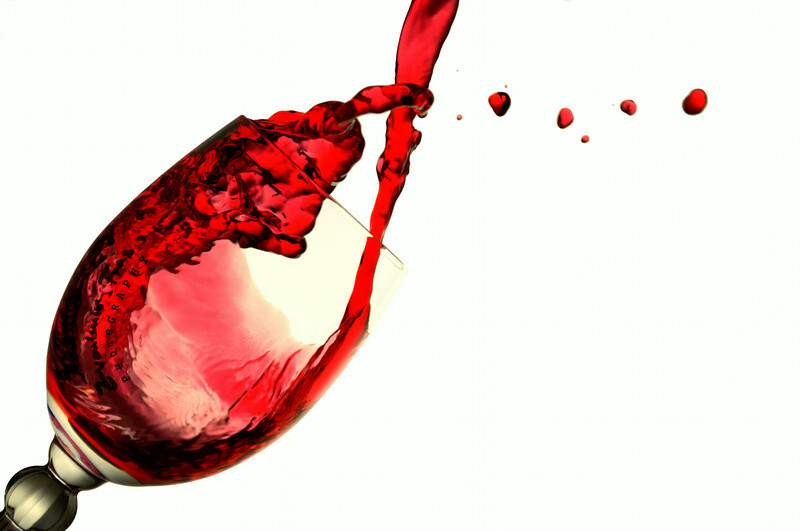 Put the softbox behind the scene as background, set camera to burst mode, hold the glass in focus and pour wine in it. Fire away!